Presenter Geoff Shreeves later found himself apologising for the same incident. 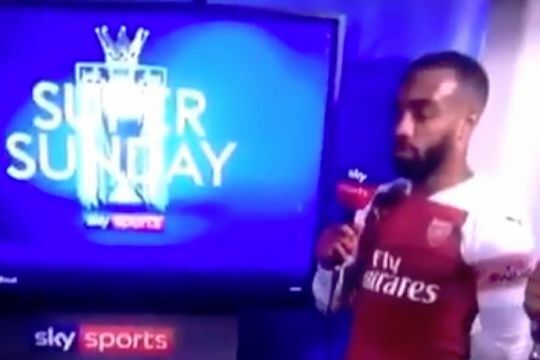 Sky Sports’ Geoff Shreeves apologised for the language used by Alexandre Lacazette after the Arsenal striker used the word “balls” during a live interview. In an awkward moment following the side’s 2-0 win over Everton at the Emirates on Sunday, the presenter hurriedly moved to prevent any intervention from the regulator after hearing the comment. However Shreeves later found himself saying sorry for being overzealous and not taking into account the word’s context.